This is our famous Snow Goose system styled in a complete walnut body. First snow goose call. Large groups didn’t seem to notice the call, but we also only had a handful of decoys. Easy for first time caller to operate and figure out different snow noises. For the price, I highly recommend. Oh, and I got my first blue with this thing! 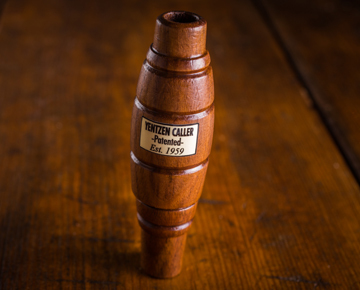 Imperial Speckle Belly Goose Call – SALE!